For years organ builders have searched for the optimum balance between the conflicting demands to provide intuitive and powerful controls for the console and a tasteful space to present them. Here at Solid State we have been working for several years with our partners to create a no-compromise flexible addition to the organ that can be instantly understood by a visiting recitalist. The Organist Palette is not intended to replace the basic controls on the console, in fact we have listened to recitalists concerns about dropping the iPad on the floor just before the concert. It will always be possible to play the organ, recall the sequence settings and go ahead with the performance with just the regular memory control panel and pistons. But for setting up, rehearsals and just plain ease of use the iPad gives a large and intuitive work surface. The screen above shows the piston sequencer edit controller, no dialing up displays and scrolling through menus, just pick it up and go. The Apple iPad may be fitted to a drawer, rested on the music rack or dropped on the bench. The large screen is used to setup and for rehearsals. Setting up an instrument sometimes requires to access several different features of the control system. To avoid having to reach for the manual to look up the secret codes especially as the visiting recitalist the information needs to be presented clearly but not intrusively. 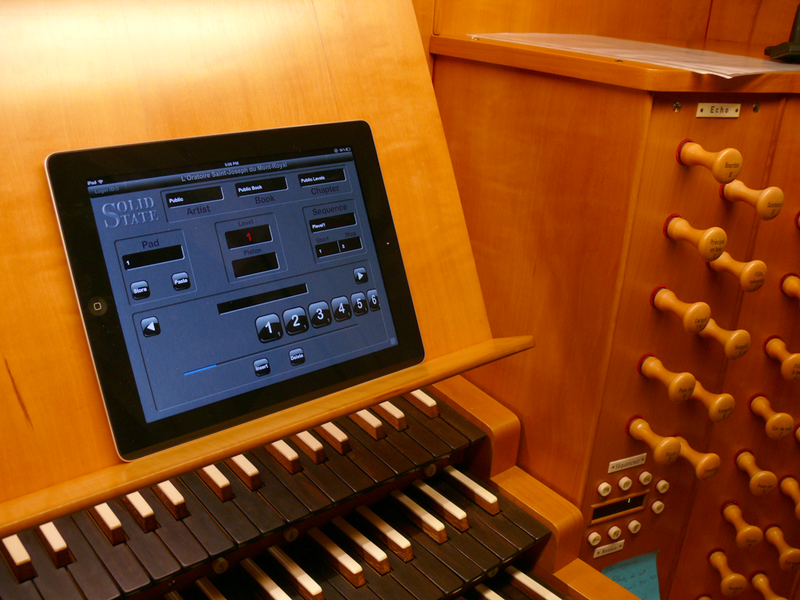 When our engineers tried the iPad we knew we had a solution and Organist Palette was born. If you need to insert a few pistons into a sequence the carousel on the Palette shows the sequence of pistons you have and inserts them as you need more showing the whole set. Sequences can be named for quick access. Adding a new control feature such as a transposer or pedal divide is just another panel in the Palette. No hole cutting and an infinite space available. 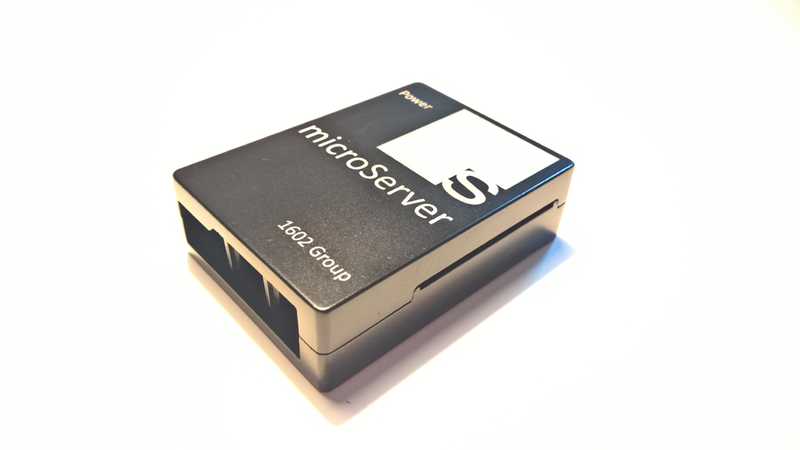 Palette is compatible with a large range of existing SSOS installations. Built in control for the RFM Organ Recorder lets you record a performance and listen anywhere in the room. The Organist Palette uses the power of an Apple iPad to convert your gestures into Wi-Fi signals that connect to the organ using our own private secure network so there is no danger of someone interfering with your performance.